It doesn’t get much easier than making a sandwich! 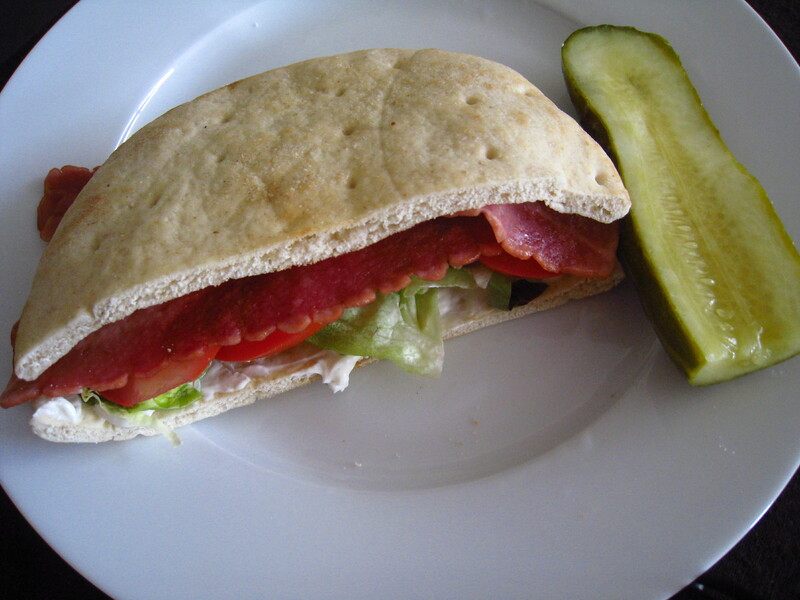 Try this as a healthier alternative to a classic BLT sandwich with mayo. Heat up the turkey bacon in the microwave in between 2 pieces of paper towel for 3 minutes. This allows the paper towel to absorb any excess fat. Cut the flatbread in half and toast. While bread is warm, spread 1 tbsp of the cream cheese onto the bread evenly. 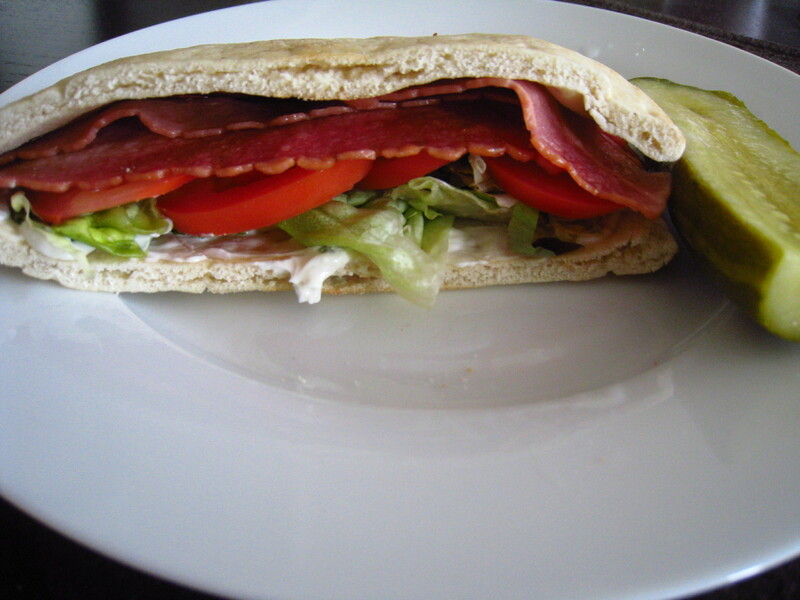 Add lettuce and sliced tomato along with the hot turkey bacon. Serve with a dill pickle, of course!